Join us as we travel through the eastern suburbs of Melbourne, with the views of the Dandenong Ranges in the distance. 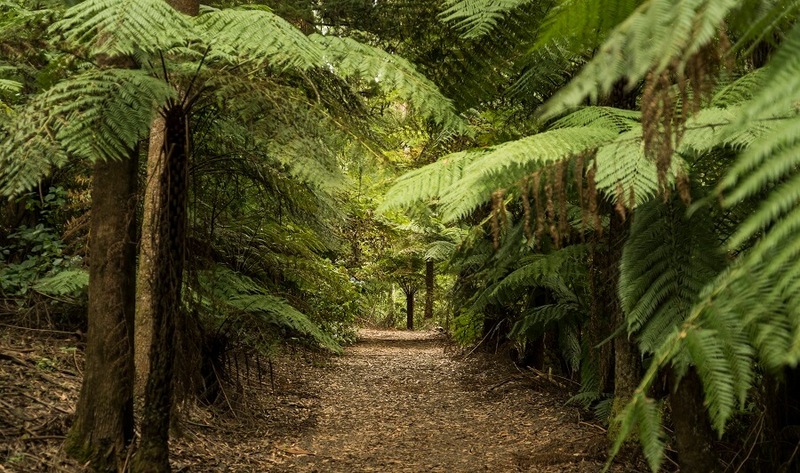 Today you discover one of the most stunning rainforests in Victoria, whilst engaging with some of Australia’s native wildlife and of course, riding the famous Puffing Billy Steam Train. The Dandenong Ranges is a series of low mountain ranges, which rise to 633 metres at the peak of Mount Dandenong. The Dandenong Ranges are located approximately 35 kilometres east of Melbourne. The area consists of a variety of mountain ridges, waterfalls, deeply cut streams, and many Mountain Ash trees. 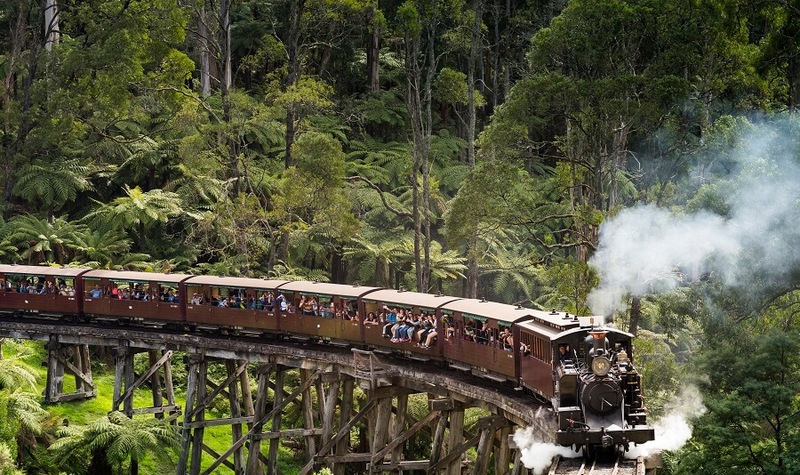 The Dandenong Ranges are the home of the Puffing Billy Steam Train, as well as arts and craft stores and cafes. Devonshire Tea and homemade scones served warm with jam and cream, tastes just as delicious as it sounds. Join us in the heart of the Dandenong Mountains at Grants on Sherbrooke, and enjoy the fresh air and breathtaking views, whilst satisfying your taste buds. Make sure you have your camera on standby, as Grants on Sherbrooke is a hot spot for hand feeding some of Australia’s native birdlife, including species such as the Crimson Rosella, Sulphur-Crested Cockatoo and Pink Chested Galah. Our next stop on our Puffing Billy Tour is Belgrave, which is the home of the famous Puffing Billy Steam Train. The steam train is a world of fun, and offers spectacular views from Belgrave to Menzies Creek. 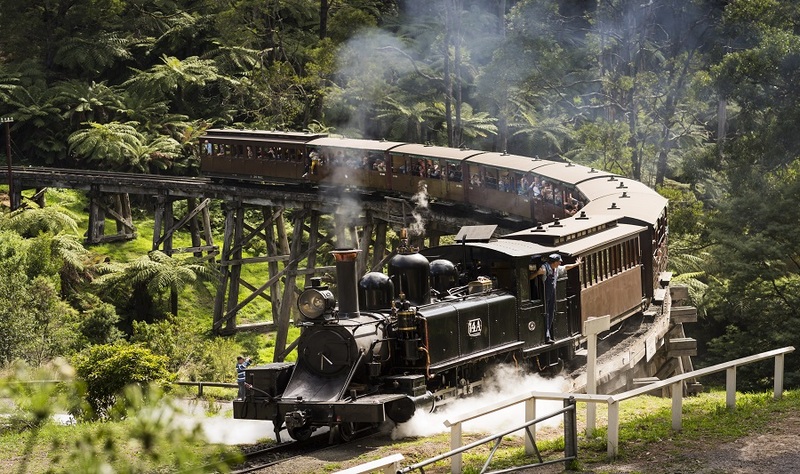 Enjoy a 30-minute steam train ride through the stunning rainforest, crossing through landmarks such as Sherbrooke Forest and Trestle Bridge. You will even have the chance to witness the beauty of Port Phillip Bay in the distance! 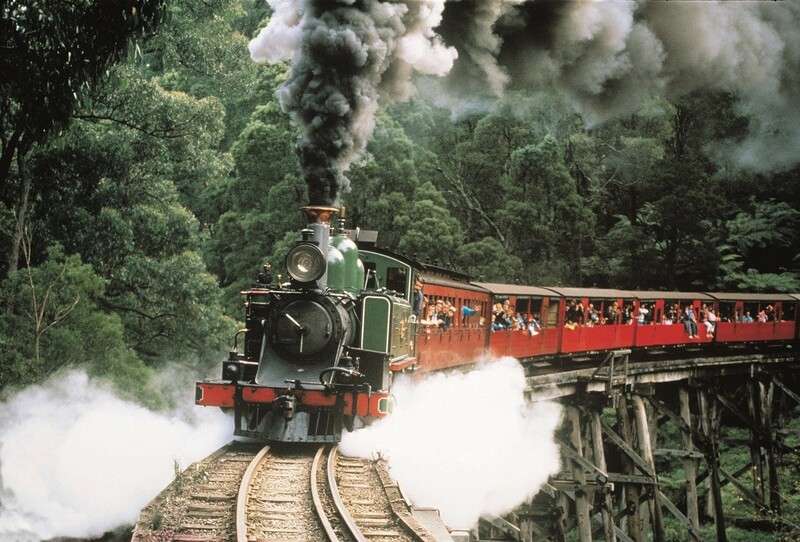 From steam train rides to wildlife sanctuary’s, the Puffing Billy Steam Train tour has it all! 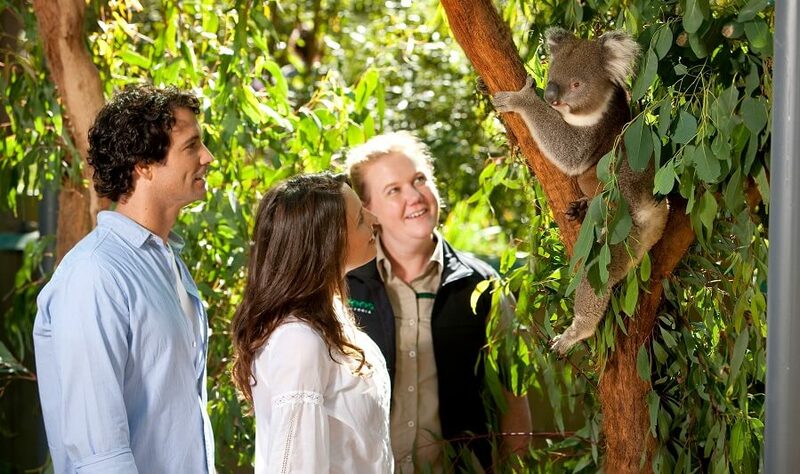 Now we are off to meet some of Australia’s well-renowned wildlife at Healesville Wildlife Sanctuary. 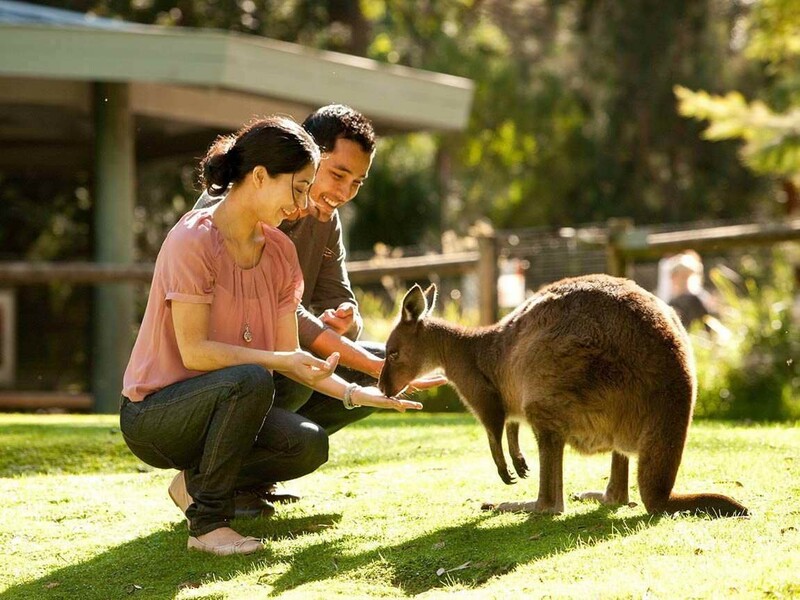 Some of the native animals you will discover within the sanctuary include wallabies, wombats, koalas, kangaroos, dingoes and over 200 bird species. The Puffing Billy Steam Train and Healesville Tour offers stunning views, wildlife, food and steam train rides throughout the Dandenong Ranges area of Melbourne. 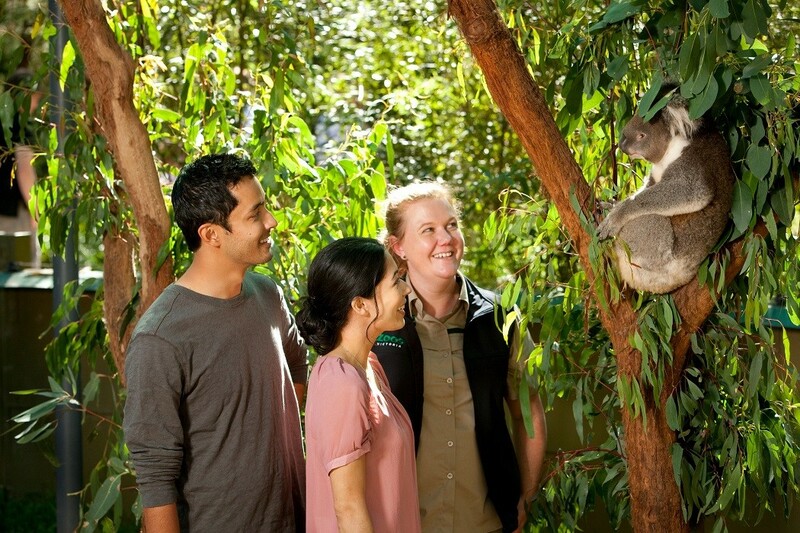 Join us as we discover what the Dandenong Ranges has to offer.